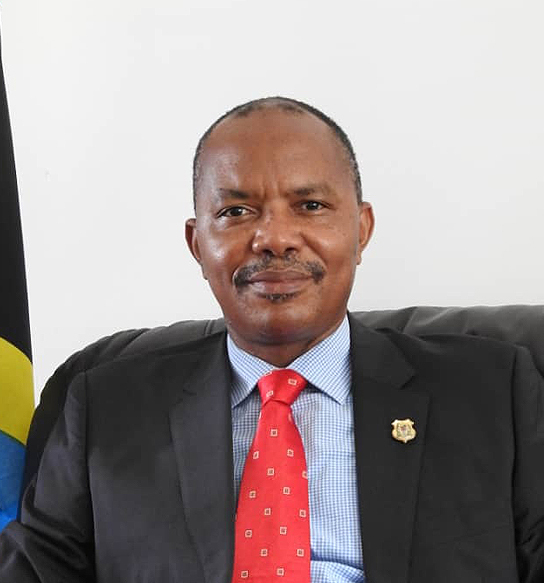 KAMPALA – The newly appointed Tanzanian High Commissioner Dr. Aziz Ponary Mlima visited the Minister of Works and Transport, Hon Monica Azuba Ntege at her offices to enhance bilateral relations between Uganda and Tanzania. The meeting was specifically to generate ways to improve the two nation’s transport system and consequently ensure that investors and traders operate without hiccups. Among those who attended the meeting was, the Minister of State for Works and Transport Hon. Katumba Wamala, the Director of Transport, Mr. Benon Kajuna and Stephen Wakasenze from Uganda Railways. During the meeting, issues regarding the two countries in the field of transport and trade were brought to the attention of the High Commissioner with intent to have them addressed to smoothen transport and trade for regional development. The two nations have an existing Memorandum of Understanding to promote the Central Corridor which connects the Port of Dar es Salam by road, rail and inland waterways to Uganda, Rwanda, Burundi and the eastern part of DRC. Azuba pointed out the need for Uganda to have two routes connecting to the Sea as opposed to relying solely on the Northern Corridor which is overstretched. Mr Kajuna highlighted the challenges to transport system between the two countries saying that there are delays to rehabilitate the railway system by Uganda owing to lack of locomotives. He added that Ugandan traders are getting charged VAT due to cargo staying in Tanzania for over the 30-day threshold which is caused by delays in the shipping processes. He also pointed out that traders have been facing communication challenges with high roaming rates and a lack of documentation and a tracking system for cargo which forces them to rely solely on telephone communication and also slows down the clearing processes. It was noted that the One Stop Border Post (OSBP) in Mutukula, the border between Tanzania and Uganda, which is supposed to operate on a 24-hour basis has not been utilized effectively with users on both sides. The users complain about customs offices not being operational after 7:00 pm. However, both countries agreed to look into this issue and resolve it in the shortest time possible. Hon. Azuba also pointed out the disparity in road user charges with Uganda charging $40 while Tanzania charges $500. In response, Dr. Aziz explained that the Tanzanian Ministry of Transport along with Ministry of Finance and other agencies are in the process of coming up with an agreement that will benefit all stakeholders and resolve this disparity. He also emphasized that Tanzania’s commitment to completing the Standard Gauge Railway. He promised that in the next two years it should have reached Dodoma and in turn increase the cargo that can be transported through the central corridor. Tanzania is also working with the Dubai Port to ensure that different points promote the central corridor. Traders have been advised to ask for waivers for VAT. Tanzania’s national airline, Air Tanzania now flies four times a week from Arusha, through Dar es Salaam to Entebbe with direct flights to Kidepo and Kisoro National Parks thus facilitating tourism in Uganda. Hon. Azuba requested that the commissioner work closely with her offices to resolve these issues and help ensure that the central corridor is fully operational and reliable even before the completion of the SGR.